Eryngium eburneum is a very exotic looking Eryngium sea holly which provides excellent bold form and texture to the garden. Resembles a Yucca when not in flower as it forms the same dense clumps of neat, narrow, sword-shaped, spiny but not too painful leaves! 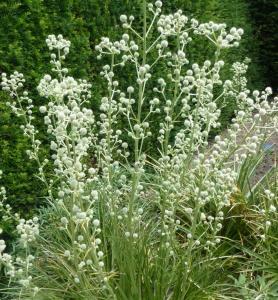 In late spring it begins to form tall stems which carry branching heads tipped with thimble shaped clusters of white flowers. Easy to grow. 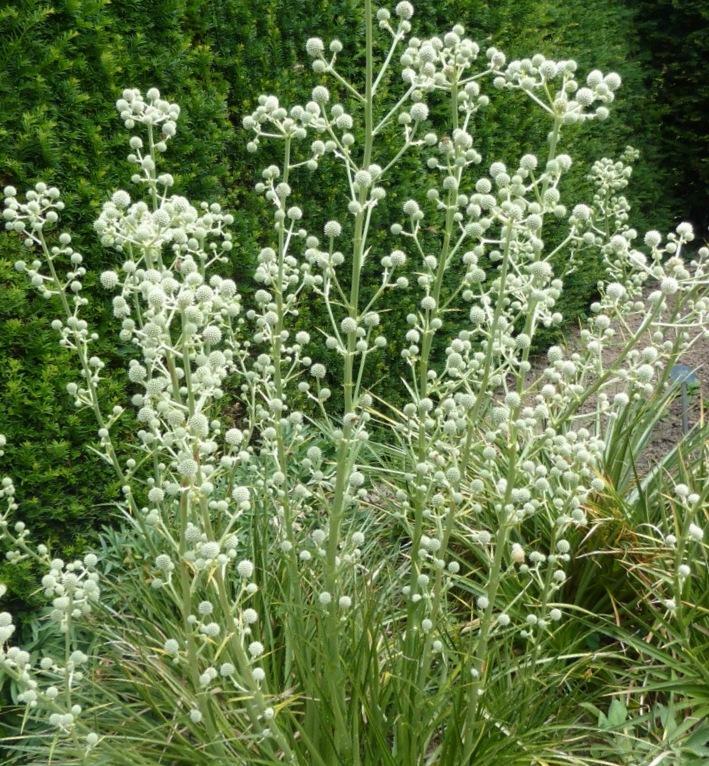 Prefers full sun with moist but well drained soil. Tender in frost.